Product description: Roasted malts create a full-bodied classic with rich chocolate malt and dark berry notes. Malts: Pale 2-row, Munich, Crystal, Chocolate, Carafa. Hops: Centennial, Cascade. 6% ABV, 24 IBUs. Death Before Disco debuted this year as an all-new, year-round beer for Left Hand. However, it overlaps almost perfectly with their Black Jack Porter (6.8% ABV), which has been around for at least ten years. There’s not a lot of info out there about this new release, but what I did find is that Black Jack Porter is conspicuously missing on the Left Hand website. My current guess is that Death Before Disco is its replacement. 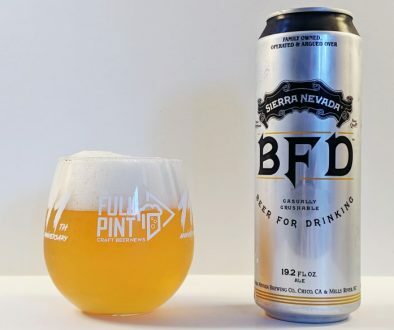 I sampled this beer from a couple of 12oz cans with a best before date of 11/23/18 printed on the bottom. I’m guessing this was canned in April, so that’s about a 6-month window, which sounds about right for this style. Into the glass, this is fully black in color with sepia highlights on the edges. Thick, khaki-colored foam rises up and sticks around for several minutes. With the first can, I opened it up a bit too cold – hovering around 45° F. At this temperature, the aroma and flavor had too much grape soda and tootsie roll going on. Once it reached closer to room temperature, this beer improved greatly. The second can was opened closer to 65° F, which solved the issue. At this temperature, the aroma is immediately explosive with black licorice, pumpernickel bread, and dark caramelized sugars. There is also something like black cherry hidden within. 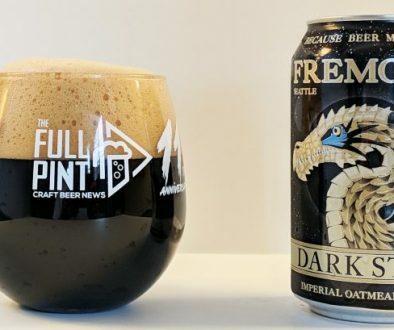 That dark fruitiness may be what Left Hand mentions in the official description as “dark berry notes.” Though I think at colder temperatures, that aspect ends up harming the beer with a grape Fanta character that I find is common in porters and stouts. A few sips in and I’m already enjoying this immensely. Death Before Disco is refreshingly simple. There’s no special ingredient nonsense, and it doesn’t try to push the envelope. This is a well-made porter for everyday enjoyment. The focus is on roasted malt with earthy, semisweet chocolate flavors that never go ashy or acrid. 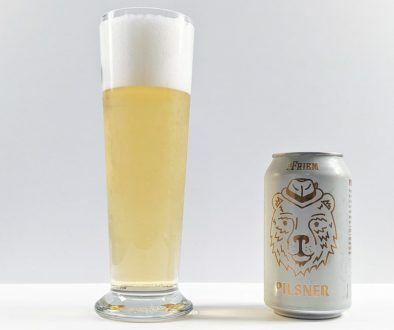 Similarly, acidity from the roasted malt is dialed-in so that you are left with a silky smooth body – an impressive feat in this lower ABV segment. The caramelized dark sugars in the aroma really don’t play a role in the mouthfeel. This porter leans bitter and dry with an earthy – almost gritty – cocoa nib flavor that persists into the quick finish. Black cherry peeks through from time to time (possibly from the crystal malt addition), but it doesn’t make a big impact. Overall, I was very impressed by this new release. I’m a big fan of the modest ABV coupled with the earthy, bitter flavors that elevate this above normal porter into more of a robust porter category. I like where this fits in the Left Hand lineup too, as most people will spring for the Nitro Milk Stout, which is softer in mouthfeel and much sweeter. Death Before Disco offers a dry and more traditional alternative for the regular-strength black ale.